Little history to start this product release. 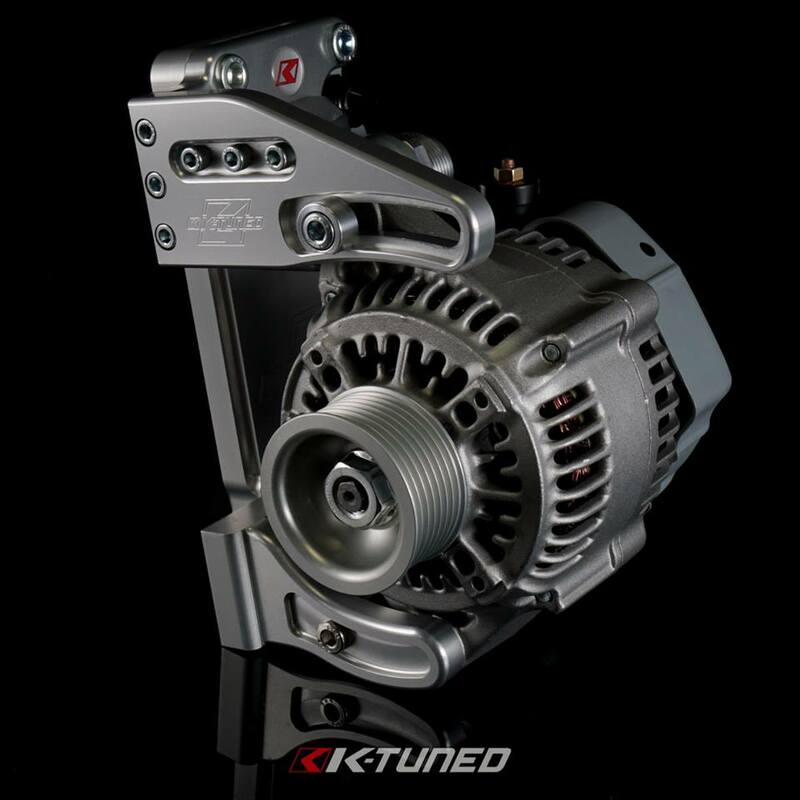 The first product released by K-Tuned (formerly known as ETD Racing) was the electric water plate kit which was back in 2007. Since then we have made several changes to the design to improve it over the years. We always strive to improve products and make them better. We recently released our water plate kit for k-series alternator. We are now releasing our new redesigned water plate kit for b-series alternator on k-sreries blocks. The biggest changes are the new o-ring seal on the back of the plate which will make is easier to switch from block to block on extra motors. We have totally redesigned the alternator brackets. The new brackets are much stronger and have more adjustment. We have changed the plate to -16AN water port. We have developed a new slim profile fitting which allows you to run -16AN fitting and clear the alternator when installed.